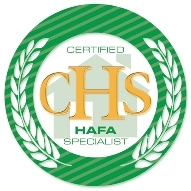 The HAFA certification is designed for real estate agents to understand the Treasury Supplemental Directive 09-09 which was implemented on April 5, 2010. HAFA uses standard processes, documents and timelines for eligible short sale and deed in lieu transactions. It is imperative that the agent you hire understands the government programs as well as the lender/servicer guidelines in order to ensure that you are in complete compliance with the HAFA program. Choosing to work with an agent who is not a certified short sale specialist and who is not HAFA certified can cost you thousands of dollars … not just in losing the opportunity to be paid $3,000 for moving expenses, but also in ensuring that you literally walk away from the short sale and not owe your bank anything.